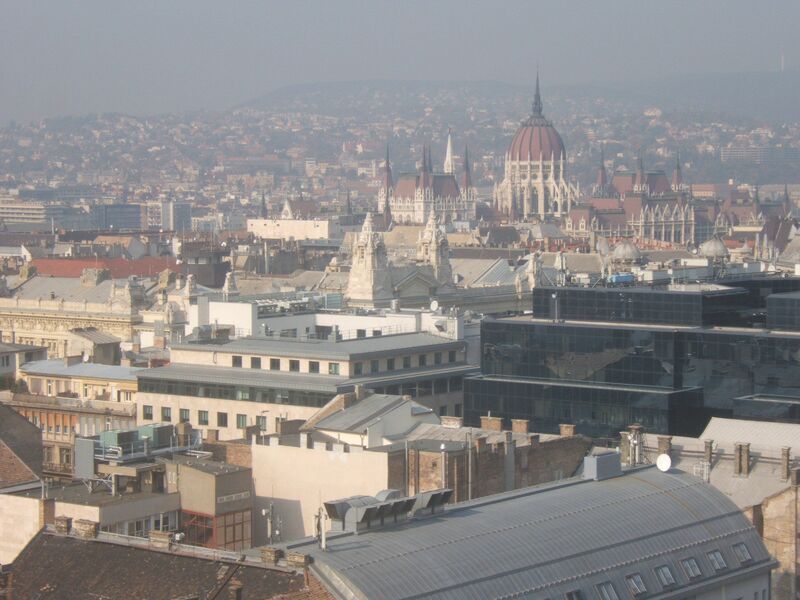 Known as â€œLittle Parisâ€ or â€œParis on the Danube,â€ Budapest is a fascinating city, rich in history, and cultural wonders. Budapest is more than just a stunning cosmopolitan city in Eastern Europe. Visitors flock here for exotic food, antiques, shopping, bargain prices, entertainment and history. Hungary’s struggle against both Nazi and communist occupation offers families a sobering insight into the country’s past. Children with an affinity for history, or parents who want to expose their teenagers to some of Eastern Europe’s heritage can take a walk through time in one of Europe’s most beautiful cities. Many savvy travelers already know that modern Budapest is comprised of two distinctively different areas, Buda and Pest, which are divided by the majestic waters of the Danube River. But, if you take a look further back in history, you’ll see that the city was originally comprised of three areas; the third being Ã“buda. In 1873, Ã“buda was united with Buda and Pest to form today’s Budapest. “Old Buda” has been inhabited since the Stone Age and was home to the ancient Romans who formed the capitol for their Pannonia province. The Romans named it Aquincum and stationed nearly 6,000 soldiers there in 89 AD. Because their settlement bordered the Danube, and Aquincum means “abundant in water,” it is believed that the Romans understood and utilized the therapeutic value of Budapest’s famous thermal springs. Ruins from ancient military baths indicate a long-standing tradition that is alive today in Hungary. To learn more about the history of the area, The Aquincum Museum (36 1 250-1650, Szentendrei Ãºt 139) features a view into the ancient Roman ruins of Acquincum. Discover two amphitheaters, villas, sanctuaries, baths, water aqueducts, shrines, a market place, and sculptures. The museum showcases traditional jewels, glassware, metal tools, and paintings from the Roman era. It hosts seasonal events such as Floralia, a Roman spring feast, a Roman mosaic workshop for families, and, during its annual Summer Festival from mid-may until mid-September, tourists can get a sense of what the everyday lives of the Romans were really like through traditional dress, pictures, and artifacts. Today, Old Buda showcases a variety of ancient attractions left over from the Roman era. Visitors can make their way through the cobble stone streets and stroll through this small and secluded area. Start by paying a visit to Kiskorona utca, or Kiskorona Street, to peruse the medieval ruins of a convent and the Ã“budai TÃ¡rsaskÃ¶r. During holidays, summers, and special city events, TÃ¡rsaskÃ¶r acts as the center for Old Buda’s cultural life. You’ll find pastry, coffee shops, pubs, and souvenir stands through this cultural artery. Main Square is undoubtedly one of the most favored Old Buda attractions and features a tranquil 18th century setting that feels relatively undisturbed. The area underwent intense turmoil as the Turks destroyed most of the medieval buildings during their 150-year reign. To get an overview of what the area has to offer, walk over to Zichy Castle, erected during the 18th century. Although never completed, it’s presently home to several museums including the Lajos KassÃ¡k Museum, Ã“buda Museum, Victor Vasarely Museum, and Budapest Gallery. Directly opposite of the gallery, look for the impressive Classicist-style synagogue, which most recently housed a TV studio. Don’t forget the military bath museum of Thermae Maiores (36 1 250-1650, 1033 Budapest, FlÃ³rÃ¡n tÃ©r, AluljÃ¡rÃ³) located under the flyover at ÃrpÃ¡d Bridge on FlÃ³riÃ¡n Square. The baths were used by the military and its remains were discovered in the 18th century. It’s a great insight into the long-lasting tradition of Hungarian baths. Old Buda, Buda, and Buda Hills all flow into one another and can be reached by car, bus subway or cable car. Buda proper is universally known by tourists for its Castle District. And, for kids, the best part of exploring Buda might just be getting there. Kids will love riding the cable car, or funicular, into Buda, which is located off of the Chain Bridge. If your family enjoys a brisk walk, traverse the historic bridge first to get a view of both sides of the city and the Danube. The bridge is stunning at night and kids will love the enormous lions that protect each side. Folklore suggests that the sculptor forgot the tongues of the lion and was mocked so much, he jumped into the river in shame. However, there actually are tongues, they just aren’t visible from below. See if the kids can spot them on the way over. During the summer, the Chain Bridge is home to Budapest’s largest street festival. Every weekend between July and mid-August, dozens of musicians, craftsmen and food vendors set up stands on the bridge and show off their skills. Kids of all ages will love the festival; not only can they learn the basics of Hungarian woodcarving, embroidery and other traditional crafts, they can also sample treats such as kurtos kalÃ¡cs, a hollow, cylindrical pastry covered in sugar or walnuts. Once over the bridge and up the funicular, stroll the castle area and beyond for a taste of medieval influence. Start the Castle District of Buda at The Royal Palace (36 1 375-7533, 1 Szent, GyÃ³gy tÃ©r) which was first inhabited by King BÃ©la in the 13th century. Wanting to avoid another Mongol invasion, he turned it into a fortress for protection. Because of its proximity to the Danube and control of the waterway, Buda was invaded numerous times and resulted in frequent rebuilding. One of the most famous sieges was the Turks’ invasion of the Castle District in 1541. They ruled until 1686 when the Austrian Habsburgs and their allied armies took back the hill. The siege left the Castle District in ruins and reconstruction took place with Baroque influence. As a result of the many attacks, the Castle District boasts a mix of styles ranging from Gothic to Baroque. Despite its many invasions, the Royal Palace housed a variety of royal families for nearly 700 years. Today, it houses the Budapest History Museum (36 1 487-8801, Szent GyÃ¶rgy tÃ©r 2., BudavÃ¡ri Palota E Ã©pÃ¼let) with exhibitions on the city’s history and ancient remains. Visitors can also stop by the National Gallery (36 20 439-7325, H-1014 Budapest, Szent GyÃ¶rgy tÃ©r 2) and the Ludwig Museum (06 1 555-3444, 1095 Bp, Komor Marcell u. 1) while on the palace grounds. Next, visit the Fisherman’s Bastion (District I, SzenthÃ¡romsÃ¡g tÃ©r), named after the fishermen whose duty it was to protect the hill during the Middle Ages. Tourists can easily find it by looking for the famous equestrian statue of King Stephen, the first king of Hungary. The bastion was actually built in 1905 on the castle walls and ruins, and was never used for protection. Instead, it honors the fishermen who protected the hill and boasts white walls and staircases connecting seven turrets. That number symbolizes the seven Magyar tribes that conquered the Carpathian Basin in the 9th century and settled Hungary. Climb the short stairs to the front wall for a stunning view over the Danube and Budapest below. Walk over to the nearby Matthias Church to see the renowned Catholic epicenter of Budapest with its neo-gothic detailing and bell tower. Its name comes from King Matthias, who held both of his weddings here. During Turkish rule, it was transformed into a mosque until the Hasburgs recaptured Buda. Visitors can view the tower, the ceilings and ornate stained glass windows, collection of religious artifacts, and wall paintings depicting the events of Hungary’s history. Next, take a walk over to Maria Magdalene Tower, a Franciscan church that was the only Christian church under Turkish rule. Catholics and Protestants both used it until the Turks eventually turned it into a mosque. The church’s 15th century tower was the only piece of the church to survive the bombings. Behind the Maria Magdalene Tower lies the Military Museum (TÃ³th ÃrpÃ¡d sÃ©tÃ¡ny 40). 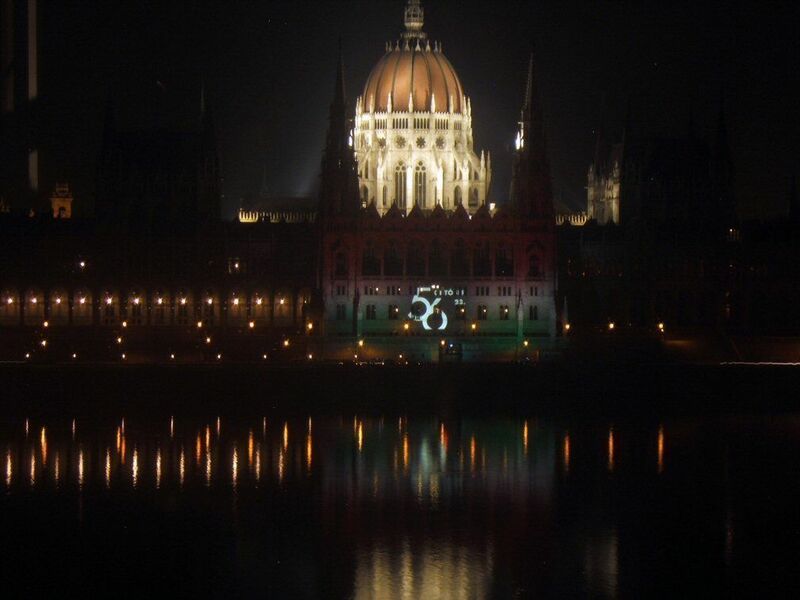 Visitors fortunate enough to visit Budapest on October 23rd will mark the anniversary of the 1956 uprising against communism. The museum houses a wealth of information on the events of the nearly 2-week long battle, as well as the hand of a Stalin statue, uniforms, flags, coins, and weapons. You might see locals flying their Hungarian flag with a hole cut out of the middle. They removed the communist symbol that was sewn in during the occupation to show their allegiance to their country and freedom. Wind down your Castle District experience with a visit to the Buda Castle Labyrinth (36 1 212-0207) of caves, tunnels, and cellars underneath the quaint cobbled streets. Kids will think they’ve walked into a hidden, medieval adventure maze. The area stretches for nearly 10km and visitors can explore beween 1.5 and 2km of it. The combination of naturally formed and excavated tunnels is explained in its waxworks exhibition and guided tours. During World War II, thousands of Hungarians were forced to live in secret, riding out the destruction. Kids or grown-ups afraid of the dark and tight spaces should skip the labyrinth. But for the brave seeking a little excitement, try the Labyrinth of Courage where children walk in total darkness with the help of a rope until they find sunlight. And after 6:00 pm, visits are guided by oil lamp. One of the most popular bathhouses in the city lies in Buda. The Rudas Baths (36 1 202-3688, Dobrentei ter 9) features a stunning array of baths ranging from extremely hot to warm to mild, under octagonal domes. Visitors can also have inexpensive massages as part of their admission fee. Another popular bathhouse is the KirÃ¡ly Baths (36 1 202-3688). Housed underneath an octagonal domed roof, the KirÃ¡ly bathhouse is a good destination for families seeking a more authentic Turkish feel. Remember that baths alternate between male-only and female-only days so be sure to check the schedule ahead of time. Keep in mind that many Hungarians wear skimpy bathing suits and many baths are bathing suit optional. Families looking for a special outing just for kids should visit The Palace of Wonders (36 1 350-6131, XIII. VÃ¡ci Ãºt 19) over in nearby Buda Hills. The interactive science museum offers plenty of room to run and play, touch, and explore — try the laser displays, optical puzzles, and mazes. The museum features plenty to keep adults busy, too. And with everything in one large room, you can keep an eye on the kids without too much trouble. Outside the large building lies a park and fountains, ideal for picnicking, fresh air, and outdoor play. Pest, the more modern side of the Budapest, offers an eclectic mix of architecture, modern conveniences, theater, entertainment, flea markets and restaurants. Head out to Hero’s Square, where many of Pest’s family-friendly attractions are clustered. This urban square features varied statues depicting Budapest’s history. This landmark of Budapest and the central site of the square houses the Millennium Memorial with statues of the leaders of the seven tribes that founded Hungary in the 9th century, and other important Hungarian figures. The expansive square is a popular spot to stretch your legs, take photos, and gather during Hungarian holidays. Kids prone to wandering or running off should be kept under close watch as there are no walls or gates surrounding the perimeter of the square. Cars whiz around, but will stop for pedestrians making their way to the surrounding museums and park. 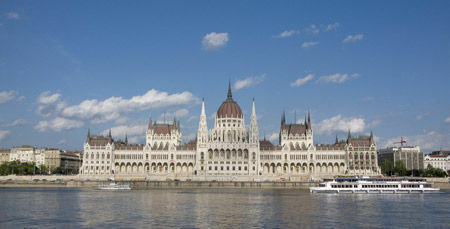 In Pest, families will want to take a tour of Hungary’s Parliament (36 1 441-4904). The building can hold around 50 five-story apartment buildings, making it one of the largest parliament buildings in the world. There is a lot to see, and kids will probably get tired from walking aorund, so parents may want to choose two or three areas they especially want to see. Art lovers can cross from the square to the Museum of Fine Arts (36 1 469-7100, DÃ³zsa GyÃ¶rgy Ãºt 41) or to the Palace of Art, although the quiet space, ornate walls, endless art, and sobering paintings might not be a good choice for kids. From the Museum of Fine Arts, follow the signs to the Zoo and Circus, and look across the street for SzÃ©chenyi Bath House (36 1 363-3210, City Park). Tourists who have spent a few hours in the city can see that Budapest is peppered with bathhouses. Locals incorporate a day at the baths as part of their regular routine and culture. Each bath is known for its specific medicinal and thermal properties, and depending on the ailment, locals and tourists choose from among the varying baths. 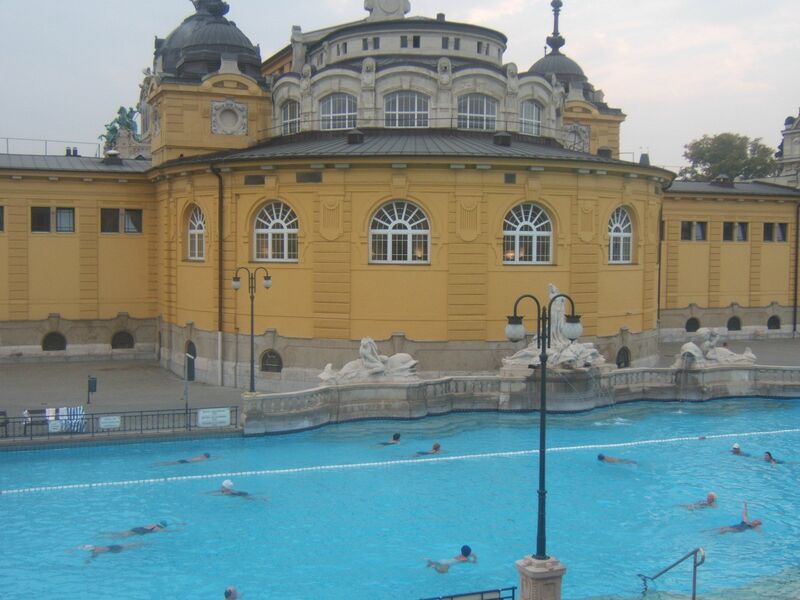 Located in City Park, SzÃ©chenyi Bath House is probably the most popular option for families. Look for the crowds that gather around the ivy walls of the Turkish-style thermal baths. The Budapest City Card offers a discount at SzÃ©chenyi, but only at the entrance facing the zoo. Prices and refund explanations are posted in English and most staff members can assist and explain the lockers and policies to tourists. The GellÃ©rt Thermal Spa (36 1 466-6166), considered one of Budapest’s most spectacular bathhouses, is a relaxing experience for both adults and children. The open-air swimming pool is especially popular with kids during the summer months when the artifical wave machine is turned on. The bathhouse mosaics, stained glass windows and Art-Nouveau sculptures provide guests with a unique bathing atmosphere, and the children’s pool gives parents a chance to sneak off for a massage. Keep in mind that most doctors do not recommend a thermal bath to small children, or limit the time to around 20-minutes. City Park was designed in 1896 to celebrate the Hungarian Millennium. Several small museums and an artificial lake can be found in the park, but its crowning glory is Vajdahunyad Castle, inspired by a castle in Transylvania, Romania, that is also called Vajdahunyad. It embodies a mix of Romanic, Gothic, Renaissance and Baroque architecture. It’s free to walk through the park and enjoy the sights. Take a look at the pond at some of the local birds and ducks that can’t be found back home. A popular stop for kids inside the park is the Timewheel, the world’s largest hourglass. From here, you can walk over to the Budapest Zoo (36.1) 273.4900, H-1146 Budapest, Ãllatkerti krt. 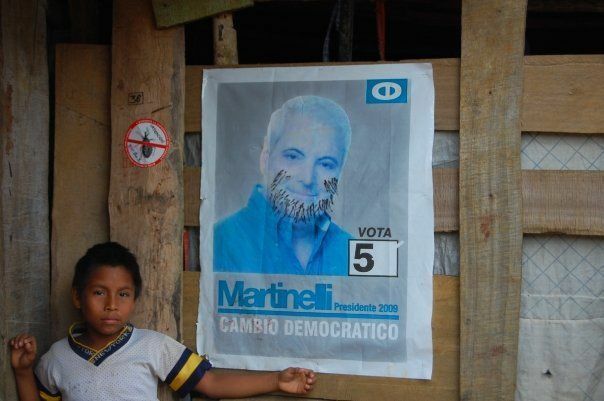 6-12). 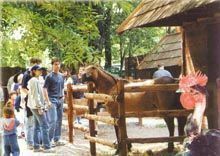 Kids can see baby rhinos, brown bears, chimpanzees, gorillas, Komodo dragon, zebras, aquarium, elephant and butterfly house. The zoo was one of the first in Europe in the late 19th century and has worked to improve animal and visitor conditions. Nearby, visitors can find the Budapest Circus (36 1 343-8300) featuring international festivals and events. Opened in 1891, it was the first and only permanent circus in Europe. Acrobats, animal performances, and troupes entertain kids and adults. Walk down Andrassy ut to Budapest Puppet Theater (36 1 321-5200, I. AndrÃ¡ssy Ãºt 69). Although the shows are performed in Hungarian, English-speaking kids will understand the universal language of storytelling. Versions of Cinderella, Peter and the Wolf will be familiar to follow, while local performances of Misi MÃ³kus, MarcipÃ¡n cica, and JÃ¡nos VitÃ©z, are easy enough to follow. Hungarian school children frequent the theater on field trips, so this is a great opportunity for your own kids to see how their peers interact in other cultures. The theater also houses a collection of marionettes on display. For more theater options, the Kolibri Puppet Theater (36-1/353-4633, VI. 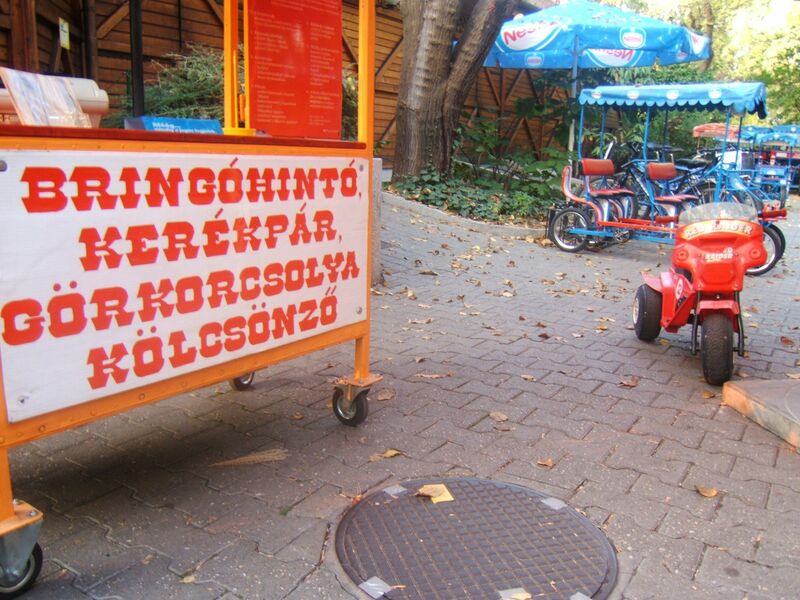 JÃ³kai tÃ©r 10) is also a popular choice for kids. Further down Andrassy ut you will find the Opera House (36 1 331-2550, AndrÃ¡ssy Ãºt 22). While the daily tours are a dazzling example of Hungarian architecture and history, kids would probably prefer the children’s opera programs offered on varying weekends. Farther down the street, visitors will find The House of Terror. Only suitable for adults or older children with an understanding of the horrors of the Nazi communist and regimes, this museum depicts the hardships and terror Hungary faced. It’s truly an intense experience. The museum was actually the building of the secret police, where locals were interrogated, tortured and killed, during both regimes. The museum serves to educate, and acts as a memorial to those who suffered, providing detailed information about Budapest’s fight against fascism and communism. Pest is also home to many shopping halls and flea markets. The Central Market Hall (36 1 217-6070; F?vÃ¡m tÃ©r, Pest end of Liberty Bridge) is the perfect stop for families looking for souvenirs to bring home. Located in a three-story building, the vendors at the market sell everything from fresh fruits and vegetables, fried sausages, black pudding and and other local treats, to Hungarian arts and crafts. The square just off the market is littered with tourist stands, restaurants, bars, coffee shops, and boutiques. The Ecseri Flea Market (36 1 280-8840), the perfect place for kids who love odd trinkets. Objects on sale include old toys, antiques and even Communist memorabilia. The market is very large, so paretns should keep kids close by and watch them carefully. Take the kids to “Happy Park” or VidÃ¡m Park (36-1/363-8310) for a ride on a 100-year old Ferris Wheel and wooden merry-go-round. Constructed almost entirely of wood, a recent renovation has meticulously restored the rides. 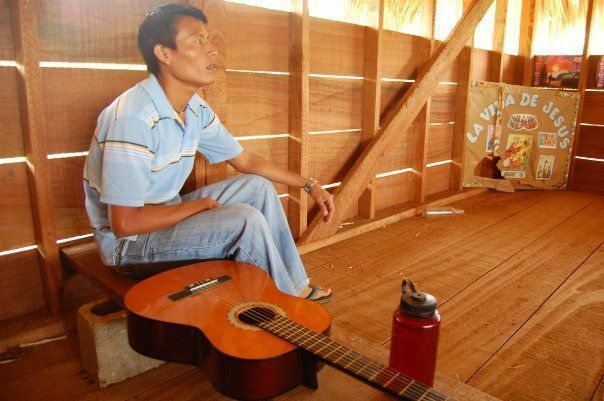 It’s a perfect spot to give the kids a break from culture and it is surprisingly affordable. If you have toddlers, go next door to Kis VidÃ¡m Park, an amusement park especially designed with the littlest ones in mind. A trip to Budapest with the kids isn’t complete without a stop to the Children’s Railroad (36 1 269-5242 ). Under adult supervision, Hungarian school children, ages 10 to 14, help operate the old railcars, steam carts, turntables, and horse trams. Built in the late 1940’s, the scenic trip through Buda Hills features young engineers in miniaturized versions of the Hungarian State Railway uniforms. The railroad was formerly run by the Young Pioneers of the Communist Party, however, today, it has no political affiliation. To see some of the outskirts of Budapest, take a trip out to Memento Park (36 1 424-7500, v, Balatoni road – Szabadkai street), housing a collection of communist era statues. These looming figures featuring common workers, Lenin, and Stalin lie in an enormous circle in a suburb outside of Budapest. After the fall of communism, locals considered destroying the statues but ultimately decided to preserve the history of their events on the outskirts of the city. For a less sobering look at this area, take the family to Margaret Island, a lush park with landscaped lawns, room to play, a small zoo, water park, playgrounds, eateries, and more. Cars aren’t allowed on the expansive pathways, but you can get around by public bus or special pedal carriages called BringÃ³hintÃ³ (36 1 329-2746), or bringo. These special bike-cars come in all sizes for entire families, groups, couples, and child-sized models. Children as young as 3 can ride in their own miniature bringo models, and older kids can easily ride around the island in their own adult models. 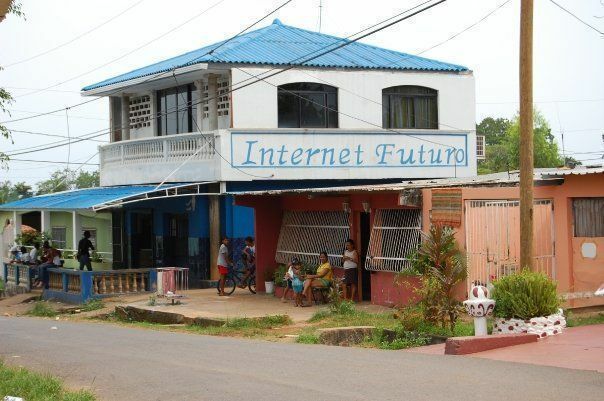 The friendly, English-speaking staff can suggest which bringo is best for families and also sells drinks and snacks. To save on area attractions, pick up a Budapest Card, a wonderful way to save money while sightseeing around the city. Valid for one adult and one child up to 14-years-old, it offers hundreds of services including unlimited travel on public transportation, free or discounted entry to 60 museums, discounts at restaurants, thermal baths, shops, and more. If you’re planning to take family photos, it’s worth noting that many of the museums require you to buy a special ticket to do so during your visit. Make sure you inquire about their policies at the admission desk. For a list of other perks families can get with the Budapest Card and more information on family attractions, visit the Budapest’s Tourism Office (36-1/322-4098 ). To learn more about events happening around Budapest, visit the Budapest Festival Center. For more information about Hungary, visit www.hungarytourism.hu. Hi Susan, Thomas and everyone!